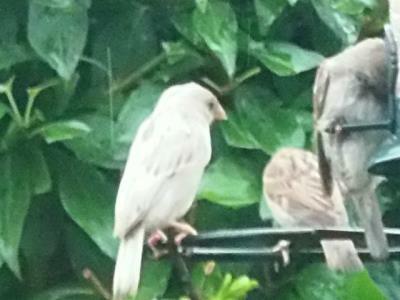 3 I think this is a sparrow, it is almost white in colour and is always with a flock of sparrows that regulary visit my garden. Is it an albino. I would appreciate any info.